Melody, you have a long history of being passionate about women's friendships, and your latest brainchild is proof of that! Urban Campfire is such a novel idea... tell us what it is! 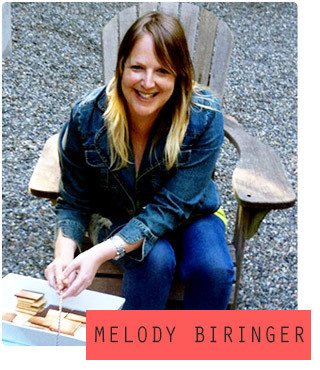 Melody: Urban Campfire is an all day event intended to engage women in authentic conversations about business, relationships and life. We encourage them to ditch their heels and don theirs sneakers as Urban Campfire prepares to engage them in a high-octane, unique, and meaningful experience. This isn't a conference, it's a fire. We plan on igniting the spark that has flickered within you. We promise to delight and inspire with a star-studded line-up of TED Talk style speakers and a veritable who's-who in Seattle and beyond attendee list. Melody: There is something about the conversations we have around a campfire... we are more vulnerable and open to sharing. I want everyone to experience this kind of authentic openness through Urban Campfire. By sharing stories and making meaningful connections, I hope women are able to rekindle their flame! This isn't the type of conference where you sit back and half listen while multi-tasking. It's the kind of event where your critical thinking skills are engaged and your heart is opened. Melody: I didn't seek out girlfriends til after I turned 30 (what is up with that?). When I finally saw the light that I needed the connection of women for all kinds of things, magic seemed to happen. My favorite pastime is going on walks or hosting dinner parties with like-minded women; telling and listening to each others stories throughout the entire spectrum of life. Especially walking, there is something about the heart pumping while telling stories that helps you get more authentic and juicy. Melody: I have a friend who is 25 that sometimes I forget how young she really is. She is in start-up mode with her business and I LOVE to talk business. It is so refreshing to listen to her stories, her fears, and her excitement about life. I learn so much from her and she makes me feel like I have a lot to offer her too, so the feeling is mutual. My older-than-me-friend just gets everything, we can talk for hours about nothing and yet if feels so satisfying. We never have an agenda or feel like we need to solve anything. It just feels good to be doing nothing together. Melody: I find it discouraging when women view each other as competitors and not collaborators. I wish we could we have a more collective feeling of togetherness. I think that is changing with time and it encourages me that more collaborations are happening. And last, in keeping with your theme that you're giving all 10 speakers that day, of which I'm honored to be one, "If you had ten minutes to tell the world what you've learned, what you know to be true... what would that be?" what would be the message of your talk? Highlights: Fireside chats, food trucks, dance party, s'mores.